The Obaland academy board members in collaboration with Edo Reggae Festival Inc. (ERF.INC) and the Hon.Commissioner of Arts and Culture, Tourism & Diaspora affairs, Hon. Osazee Osemwegie Ero. 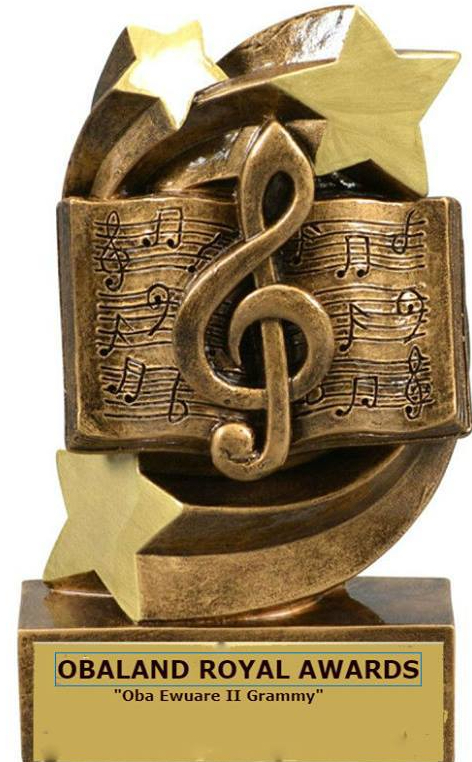 We hereby announce the Obaland music awardees – under the national category ” Obaland Music Awards” 2018. Previous Sir Victor Uwaifo received Obaland Royal Awards.